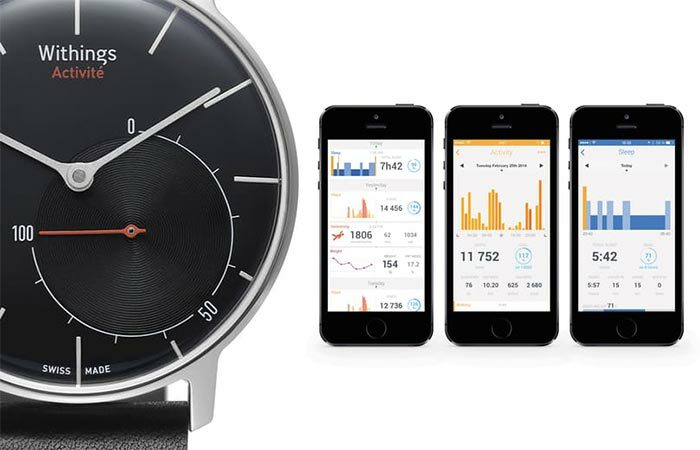 At first, you may consider it a regular watch, but the Withings Activité is far more than that. It’s an extremely functional fitness tracker and personal trainer, perfect for your workout. This cool gadget was developed to look classical and stylish when compared to other activity trackers you can find on the market. 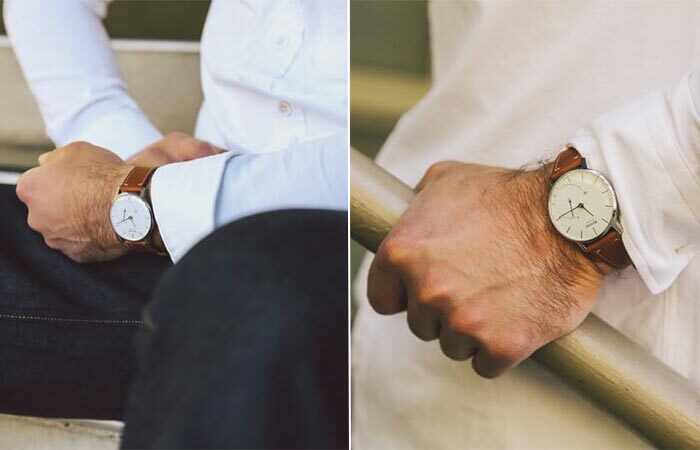 It honors minimalist European design and Swiss watchmaking and can be used as a typical everyday watch as well. 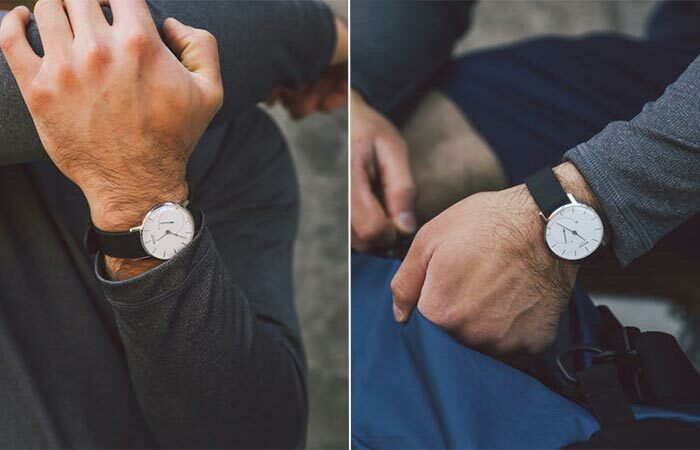 Withings Activité is an elegant minimalistic watch and activity tracker that measures your steps, distance, swimming or running stats and calories. You’ll find two types – Activité Steel and Activité Swiss. The first one features a stainless steel case, chrome hands, and double-domed glass while the second one is made in Switzerland out of surgical grade 316L stainless steel case and domed scratch-proof sapphire crystal. You can get them in either fine calf leather or silicone sport strap. It can be synced with any smartphone. Now that we discussed its construction, it’s time to switch to its functions. Firstly, you can sync it to any Apple or Android smartphone. Once you do, it will keep track of your steps, distance, swimming or running stats and calories. Another cool feature is the sleep monitoring system that will perform a sleep cycle analysis. You can adjust a silent and vibrating alarm to wake you up as well. It’s water resistant and can serve as a sleep monitor as well. We already mentioned about the swimming stats so you should know that with it being water resistant up to 5 ATM, you’ll have no problems wearing it in water. When traveling through timezones, the hands will automatically adjust with your synced phone. Finally, you don’t have to bother with charging it since it comes with a typical watch battery that lasts up to 8 months.